I'm on a summer Gospel preaching trip with our mission team. 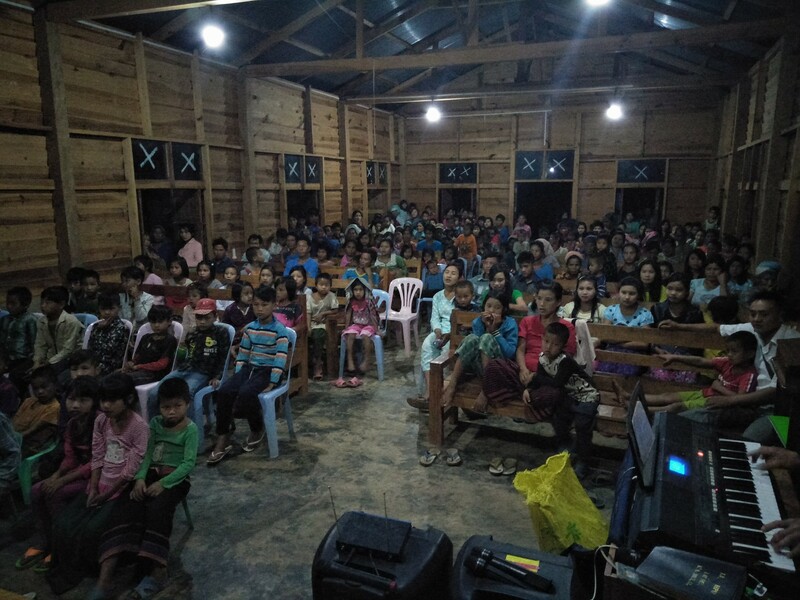 We've preached at 9 different locations to over a thousand Lahu animists. Most of them have never heard the gospel. Some heard it for the first time in over ten years. We hope to send evangelists to some of those villages. We have young men trained and ready to live among them and preach the Gospel. This is the first step to found a biblical church among animist villages. We have three more animist villages to go and preach the gospel to. Please pray for the work. Then I will be teaching at a youth conference on 14-17. Thank you for your contribution towards the conference. And your prayers are much coveted. As I mentioned in my last report, I traveled to a church and taught there three days on certain marks of healthy church membership and church elders in particular. On our way back, we stopped by at another church and taught there two days on the same topic. And I went to MK for closing service of MBTC. Then I traveled to Thailand for medical checkup. My wife has got better and got her medication decreased. Hopefully, it is her final three-months dose. We will know in the next checkup. Everything went well according to the plan and thank you very much for your prayers. Continue to pray for the mission over there. Rufus is much thankful to you for the support increase. Thank you very much for your faithful partnership. God bless you.